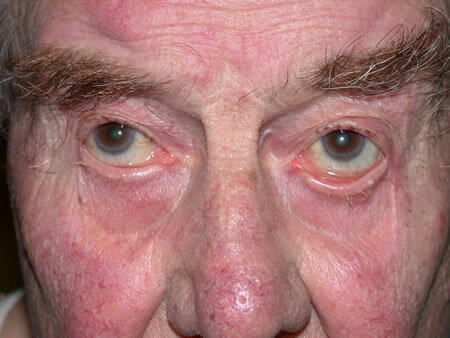 A rolling outwards of the lower eyelid such that it is no longer in contact with the eye. 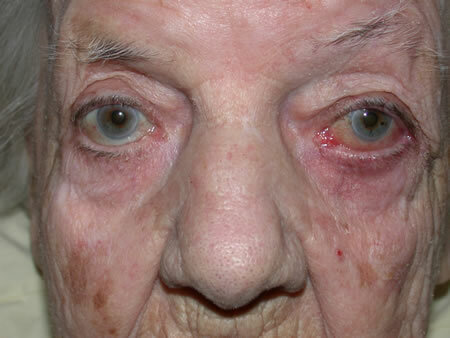 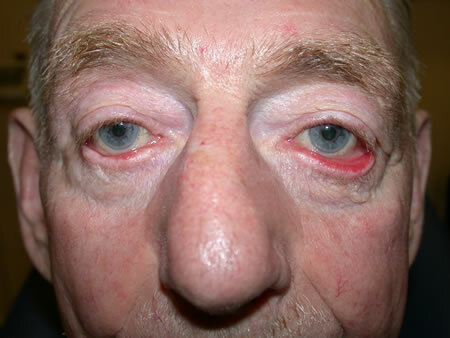 Causes: Age-related stretching and loss of support of the eyelid tissues. 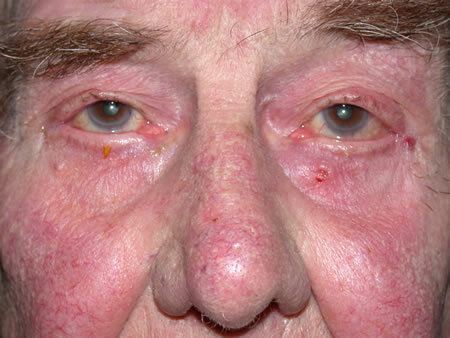 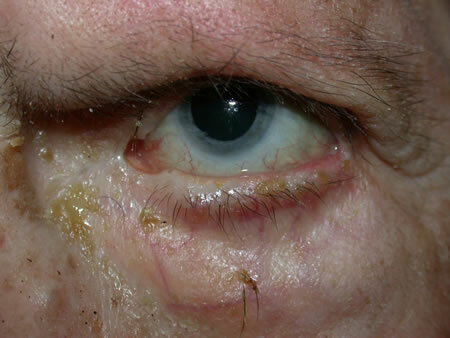 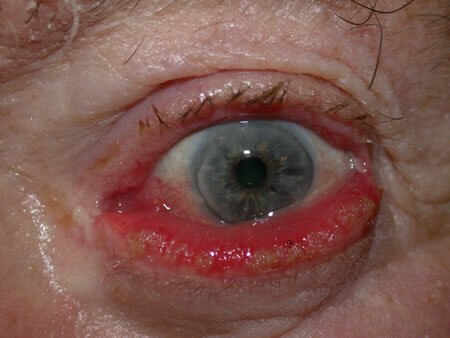 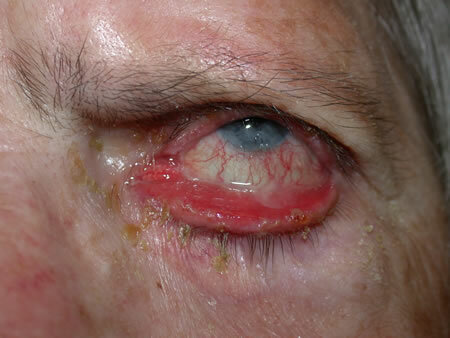 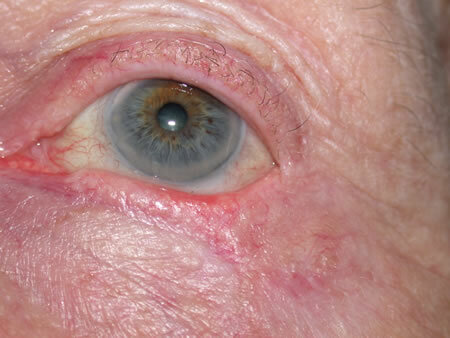 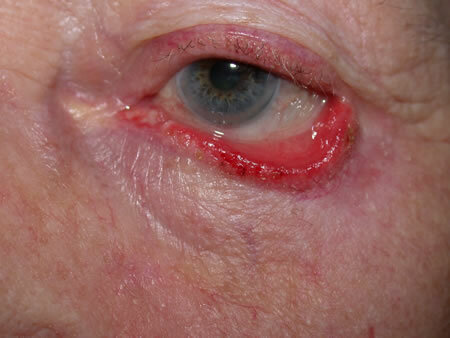 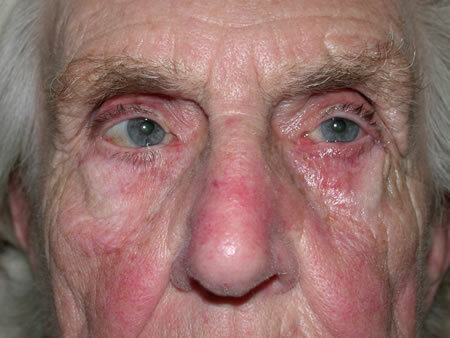 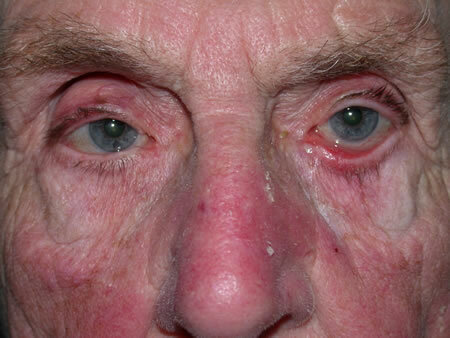 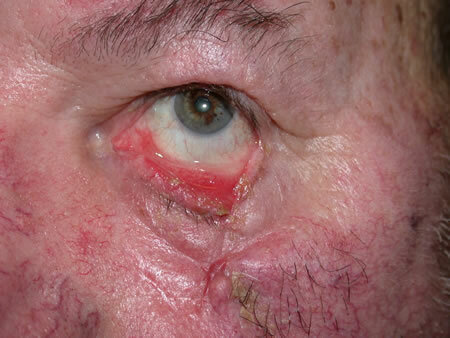 Scarring of the skin below the lower eyelid that pulls the lid downwards. 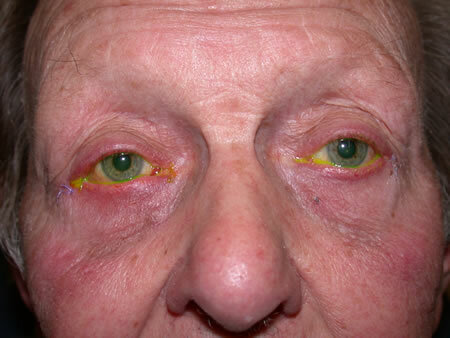 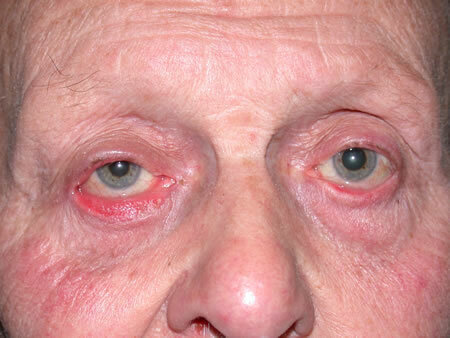 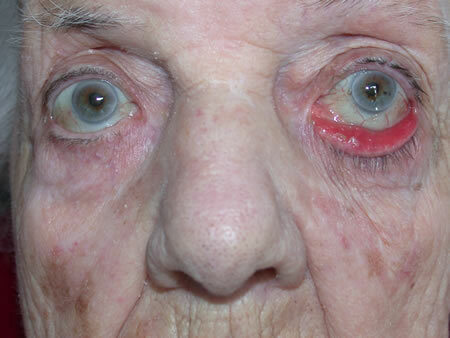 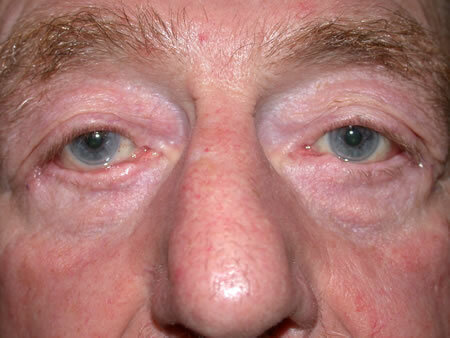 Weakness of the muscles of the eyelid due to loss of the normal nerve supply (eg Bell’s palsy).